Prophy Paste by Mark3 features a non-splatter formula that contains 1.23% acidulated phosphate sodium fluoride with a unique blend of cleaning and polishing agents. 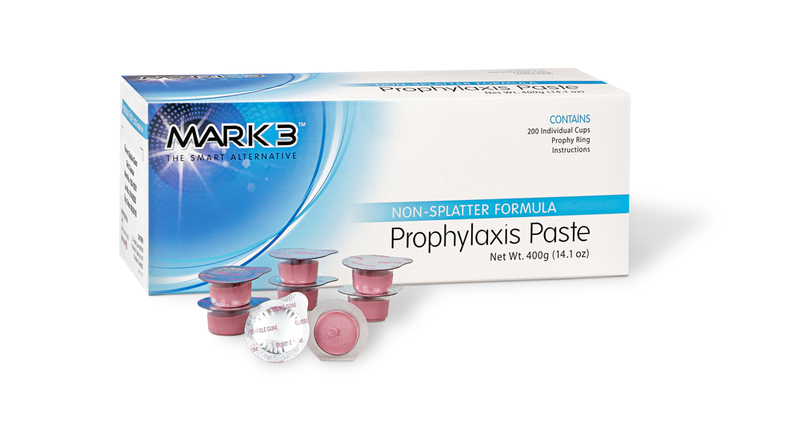 Mark3 Prophy Paste maximizes stain removal while minimizing enamel loss and maintains an effective fluoride level. It strengthens tooth enamel and prevents dental caries. Disposable cups eliminate cross contamination. With our new non-splatter formula and great flavor with no bitter aftertaste.